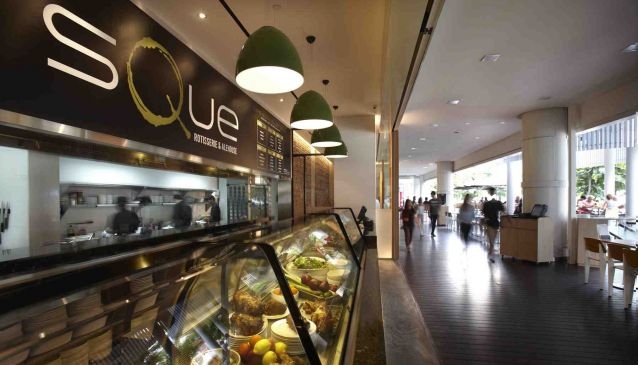 With its modern and spacious outdoor seating along Singapore River, Sque is a convivial spot, where executives, families and large groups of friends can really loosen up. At Sque, patrons can slake their thirst with a sweeping selection of 11 draught beers and over 250 bottle beers. Food wise Sque's specialty is its Rotisserie with its Spring Chicken. The restaurants' menu features also a wide range of international dishes: beer bites, sandwiches, pastas and Platters to share. And for those always in quest of the best promotions, Sque proposes a weekday set lunch menu at S$19.90 and a Kids menu at S$12. At Sque, daily Happy Hours are available from 11.30am to 7pm and from 9pm to 11pm on weekdays and from 11.30am to 11pm on Saturdays and Sundays. On top of that, this joint offers on-going promotions every day.